The Locked-Up Abroad episode premiered three days ago in the US to almost 10 million viewers at 2am UK time. 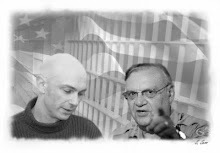 I awoke to 500 emails/messages from American’s outraged at Arpaio, the jail conditions and human rights violations. People showed strong support for my family and activism. Since then, the emails/messages have risen to over 1000, and Jon’s Jail Journal’s hits have surged by 20,000. All of my social media pages have been flooded. On Thursday, I couldn’t blink without an email coming in. Many people expressed their own pain and suffering, detailing horrific things that happened at the hands of the US justice system. I realise now that everything I’ve been doing around Jon’s Jail Journal for the past 10 years was leading up to this moment. It’s as if the trauma on US society caused by injustice, corruption and state-sanctioned violence opened up to me. I’m responding to every message, trying to give back some of my own positive energy. Adrenalin kept me going through the nights. At some points, I was typing so fast and focussed, I went hours before I noticed my shoulders had frozen. I had to stop to stretch for a few minutes to shake the numbness off. Thanks to social media, I was able to alert thousands of people to a petition to recall Arpaio. Even some Arpaio supporters emailed that the episode had changed their minds about him. I’ve only received four death threats from Arpaio loyalists, which isn’t bad out of over 1000 messages, almost universal support. I had no idea which parts of the episode the director, Harry Hewland, had selected. I’m thankful to him for including the activism. His decision to flash Jon’s Jail Journal on the screen contributed to the deluge of correspondence. 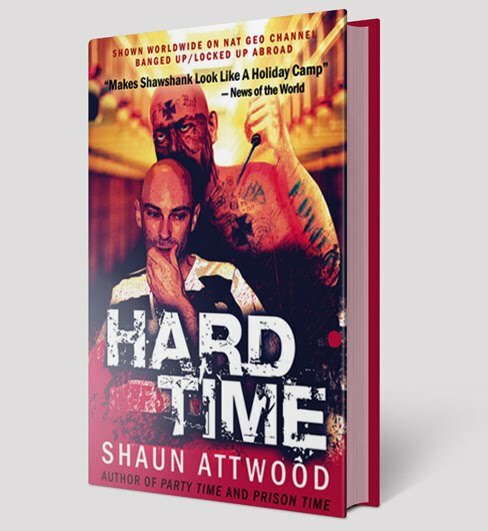 When Hard Time was published in America at the same time Osama bin Laden was killed, I lost my news coverage, the book didn’t sell, and I felt the realisation of the dream of exposing Arpaio slipping away. None of that matters now. The activism doesn’t stop here. Arpaio is still in power, and there’s work to be done. The episode has planted a seed in the US conscience that evil things are going on in his jail system. The episode posted a statistic on the screen: 62 inmates died in Sheriff Joe Arpaio’s jails from 2003-2007. Arpaio is motivated by power and money. Look where he gets his political contributions: the prison industries. His jail is a conveyor belt feeding the prison system human beings reduced to commodities – the prison gets $50,000 per year of taxpayers’ money per prisoner. Most of them are non-violent drug offenders. Many are mentally ill. Vulnerable people who get no education or rehabilitation because the prison wants them to come right back to keep the money rolling in. As shown in the emails, this corrupt system is traumatising American society to its core. With 1 in 100 adults in prison, every family in America has or knows someone in prison, unless of course they’re politically connected or wealthy enough to bribe the system. Exposing Arpaio continues. Over the next six months, the episode is being televised to over 50 million viewers in 36 countries, ranging from India to all of Europe. I’ve finally realised the dream I set 10 years ago when I first picked up that golf pencil in the maximum-security Madison Street jail, hoping to show the world what really goes on in there. I think your message shows that only the evilest people can survive there in comfort and will not be concerned in going back. Make it tough but humane with safety and survival top of their agend.....PS....the 90s were good though.